Pamela Peeke | HOPE Global Forums | Presented by Operation HOPE, Inc.
Dr. Pamela Peeke is an internationally renowned physician, scientist, expert and thought leader in the fields of integrative and lifestyle medicine. Dr. Peeke is a Pew Foundation Scholar in Nutrition and Metabolism, Assistant Professor of Medicine at the University of Maryland, holds dual masters’ degrees in public health and policy from the University of California at Berkeley, and is a Fellow of both the American College of Physicians and the American College of Sports Medicine. As the first senior research fellow at the National Institutes of Health Office of Alternative and Complementary Medicine, Dr. Peeke was a research pioneer in the burgeoning field of integrative mind-body medicine. 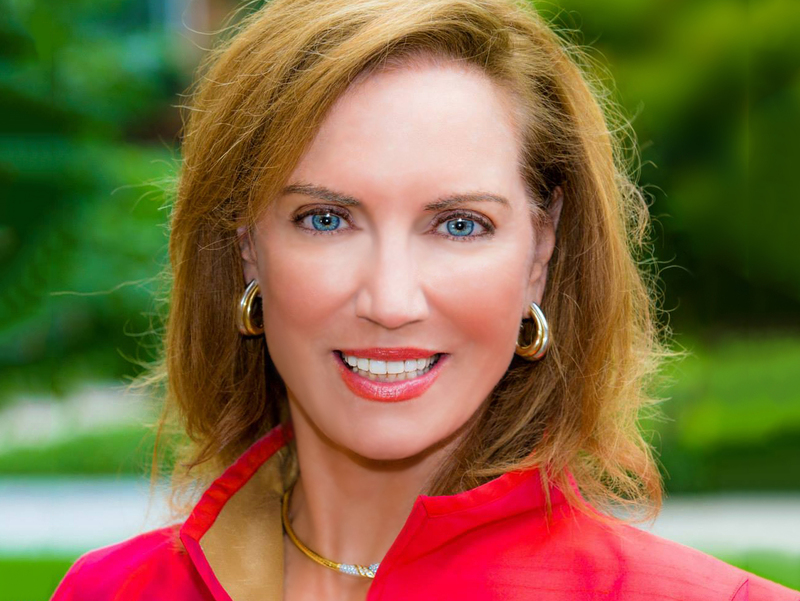 Using her expertise in nutrition, fitness and lifestyle medicine, Dr. Peeke created a national “edutainment” multimedia messaging and educational platform, translating cutting edge science for the mass market. This included her work as Discovery Health TV’s chief medical correspondent and National Body Challenge series show host; chief lifestyle expert for WebMD’s 90 million members; TED presentations; in-studio medical commentator for the national networks; contributing editor and expert to numerous publications including US News and World Report, Huffington Post and the New York Times; and, Dr. Peeke is host of HER, the top-rated women’s health and lifestyle podcast. Dr. Peeke is a three-time New York Times best-selling author in fitness and nutrition. Her national best-seller Fit to Live became an award-winning Discovery Health TV series hosted by Dr. Peeke. Both the book and series center around the five-pronged concept of the need to reach an adequate level of mental, nutritional, physical, financial and environmental fitness to achieve life goals. Importantly, Fit to Live connected health and wealth, stressing the importance of attaining and then applying financial knowledge to an individual’s personal investment in health and wellness. In her Wall Street TED talk “Reclaim Your Brain from Addictive Living” delivered on the New York stock exchange stage, Dr. Peeke demonstrated the dire mind-body and economic consequences of neglecting self-care. Dr. Peeke is operating advisor to North Castle Partners, a private equity firm focused on Healthy, Active and Sustainable Living markets to create partnerships with entrepreneurs seeking to take their companies successfully through the next stage of their development. Dr. Peeke is a board member as well as scientific advisory chairperson to corporate industry leaders in the fields of nutrition, fitness and lifestyle medicine. The first physician elected to the International Spa Association’s board, Dr. Peeke collaborated with the National Library of Medicine to establish a science-based foundation for the understanding of spa science and therapies. A member of the American College of Sports Medicine’s global Exercise is Medicine initiative, Dr. Peeke has networked with medical providers worldwide to support a more active lifestyle for their patients. Branded by media as the “doc who walks the talk”, Dr. Peeke lives her passion for motivating individuals to become more physically active and is working with national legislators and policy makers to create an optimal urban infrastructure to support community access to walking, biking and hiking opportunities. Finally, in keeping with walking the talk, Dr. Peeke is a Trustee of the National Senior Olympics Foundation Board and is a competing Senior Olympic triathlete.